There are an incredible number of wonderful horses sitting in auction pens around the country. The economy is partly to blame. After all, feeding the family is (sometimes) more pressing than bringing home a fuzzy critter to hug. There is also a serious lack of long-term commitment among horse owners. 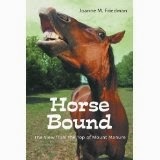 Finally, there's the mistaken belief that everyone with horses is honest, sane, and has their best interests at heart. Perhaps the hardest stories to hear are the ones that start, "I really loved Fuzzbutt, but he was too small for me so I sent him to a reputable dealer..." Somehow someone dropped the ball and the next time Fuzzbutt appeared was as one of a dozen photos on a kill pen listing. Adoptable horses are everywhere. So why shouldn't you make the leap and bring one home? In honor of these poor, trusting beasts, I think it's time to take a small step back and think about what is happening to them outside the auction house. It's no coincidence that horses purchased as recently as a month ago are finding themselves back in line to be ridden, led, and cajoled through the pen again. If you're reading this, you probably have a soft spot for horses. So do the folks who owned the horse before you and the ones who are paying the auctioneer and taking their bargain horse home, starry-eyed in their excitement over the amazing deal they just made. The bottom line, however is this: Not everyone needs to own a horse. If you are the only member of your household who thinks a horse is a necessary add-on to your economic burden, you need to rethink. Horses are expensive, time-consuming, and sometimes heart-breaking. 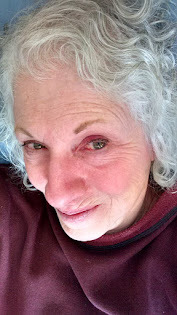 If you are not strong-willed and dedicated, that brown-eyed beauty may be facing another trip to the auction when you realize you're in over your head. The horse market has tanked. There are few homes to be had, so it's not a simple matter when you decide to just put an ad in the paper and sell the paycheck-swallowing monster. You may have a wonderful place available to board your new BFF, and your barn owner may be the vet's prize pupil, but if you are not experienced in working with horses that may have been mistreated, injured, ill, or simply rendered temporarily insane by circumstance or genetics, you are NOT an "approved home" for a rescued horse. You are a stop-over on the way from one auction to the next. If you have your own place with a spare stall and a cute matching bucket set for your current pony partner, you may think adding another heart to the stable is a cinch. Before you jump in and disillusion another horse, make sure you have alternative plans in case your existing herd isn't thrilled with the newcomer (or vice-versa). And lest we forget, auction horses need to be quarantined before they can be safely introduced to your babies. That means a stall, preferably concrete-walled for easy disinfection, far from the madding herd and with its own turnout where the resident horses can be viewed from afar prior to face-to-face intros. Then there's whatever rehabilitation is needed. And time. Tons and tons of time. If you're not up on your vet studies, you probably should not consider a horse that has physical, medical, or psychological issues. Love only goes so far to cure the ills our horses face. Know something, or you're punishing the innocent for your shortcoming. How honest is your appraisal of your ability as a trainer, rider, manager, horse keeper? If you're looking for that dead-broke, experienced horse that needs not a moment of correction or retraining, you're living in a fool's pasture at best and certainly unlikely to find success with a horse that has been through the wringer in recent memory. There are ample ways to help the unwanted horses of this country. If you think you can afford to keep one, then you can also afford to donate much-needed cash to the rescue of your choice. Bail out a horse from the kill pen and make a connection with a suitable, approved home for him. Don't take him home with you. No horse deserves a return engagement at Camelot or New Holland or any other auction site. I, for one, admit that my place, though lovely, is in no way suitable for quarantine or rehab during the winter months. Nor am I. I'm old enough to know better and to admit it. Woman-up and do the same. If you do decide that you have the wherewithal to do justice by one of these amazingly resilient animals, then go for it! I have a neighbor who is completely in love with her kill pen adoptee. She did things right, fell on hard times, made an effort to re-home the little guy, couldn't, and resigned herself to being his forever owner. What's one more home re-fi among friends? With that kind of clear-headed focus and determination, that kind of commitment, we can eliminate the unwanted horse problem. Without it, the revolving barn door at the auction house will continue to swing in endless repetition of the same old story.